Launched interactive website and searchable map of aviation destinations for Air Fare America. 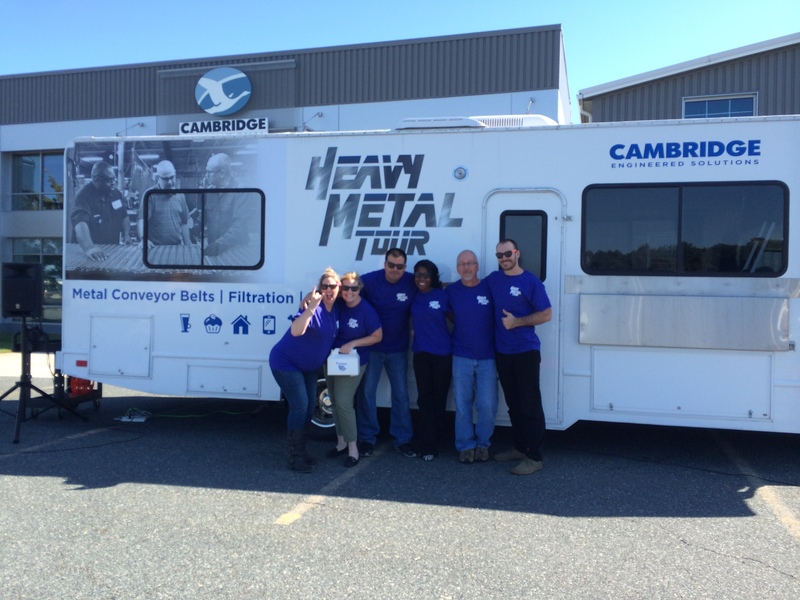 Redesigned Cambridge Engineered Solutions’ website. Increased visitors and page views 40% over 2014. Managed communications for 1880 Bank, including public relations for acquisition of Easton Bank & Trust. Generated 47 articles and 1.6M impressions. Conducted marketing analysis and produced white paper positioning Anne Arundel’s cyber security assets for the Anne Arundel Economic Development Corporation. Created ‘water moves us’ 2015 marketing campaign for Dorchester County Economic Development Department. Produced comprehensive branding initiative, ad campaign and social media program for 1880 Bank. Developed digital ad and social media campaign to showcase Cambridge Architectural Mesh in key architectural markets. 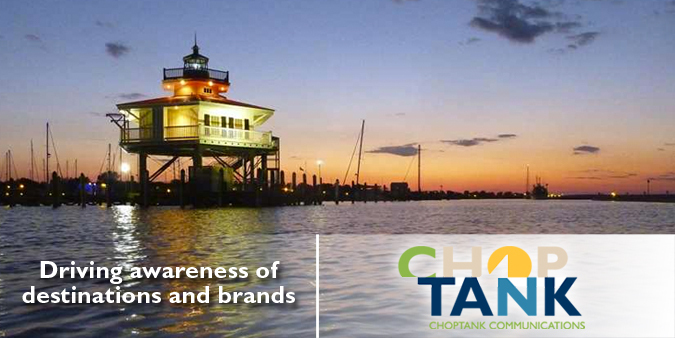 Launched comprehensive enrollment marketing campaign and branding for Chesapeake College. Brought visiting writers to Dorchester County to profile key tourism assets in Mid-Atlantic media. Produced new exhibits and façade improvements for Chesapeake College’s Cambridge Center. Initiated proactive public relations program for Chesapeake College. Placed 55 articles in architecture and real estate media for EYA resulting in 3.8 M impressions & $300,000 advertising equivalency value. 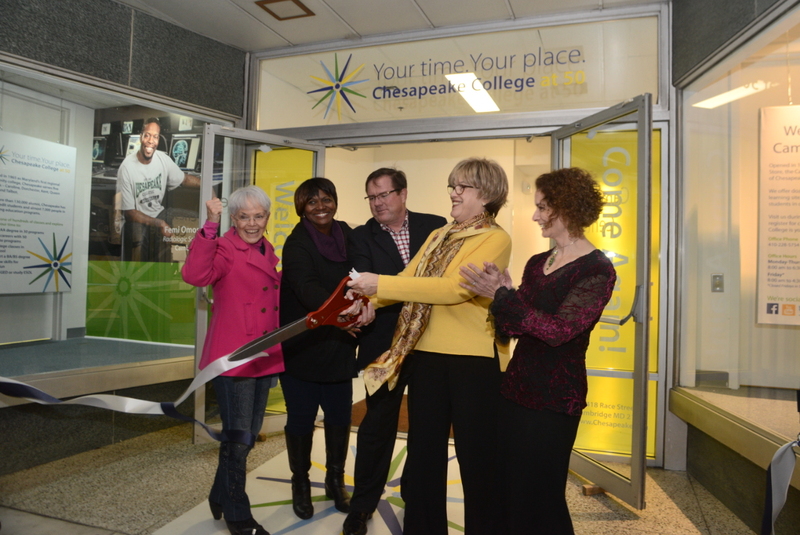 As part of Chesapeake College’s 50th Anniversary commemoration, Choptank Communications produced welcoming new exhibits and facade improvements for the Cambridge Center. President Barbara Viniar and Cambridge Mayor Victoria Jackson-Stanley, Senator Addie Eckardt and Main Street President Tom Hutchinson, unveiled the welcoming new entry on Nov. 14, at 418 Race St. during Second Saturday.